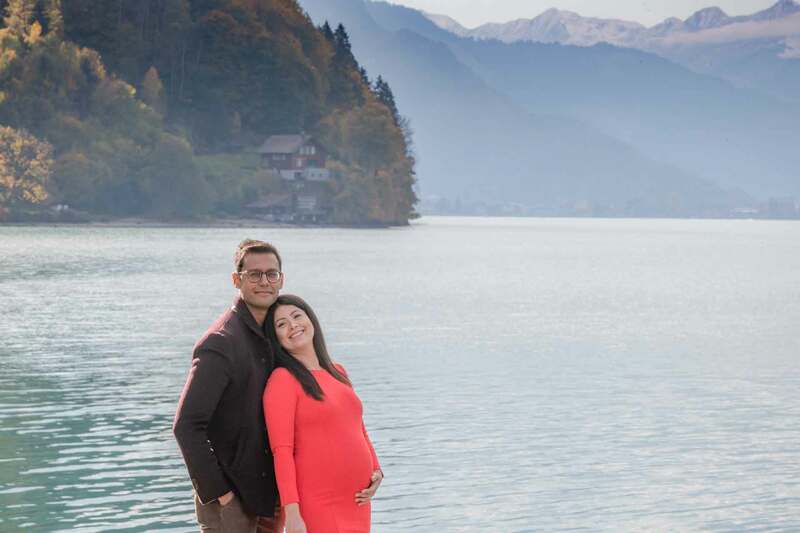 A maternity photo shoot in Switzerland. A cold winter afternoon in November and we headed for somewhere sunny. There wasn’t much time. The sun sets quickly behind the mountains and it gets very cold. Fortunately Tanya came prepared. I did some research beforehand. 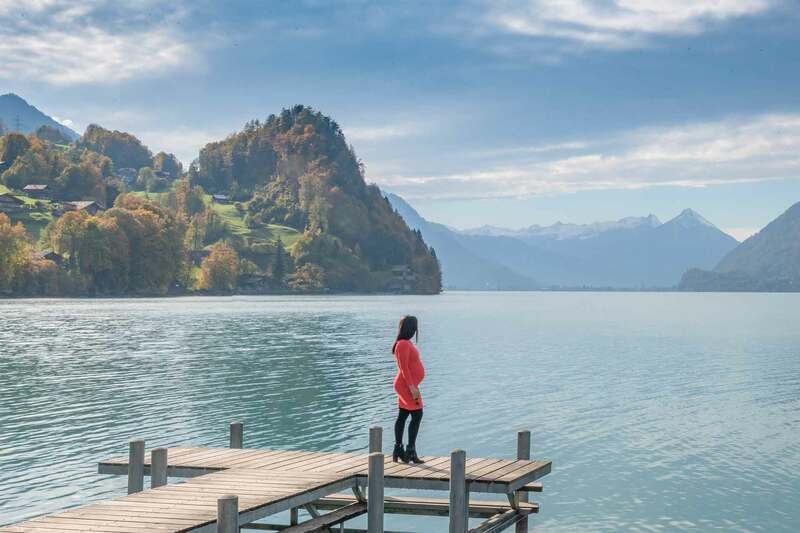 I couldn’t find any pictures featuring pregnant women with mountains and lakes. I had one favorite location which was quiet this time of the year. Very quiet without the tourists.